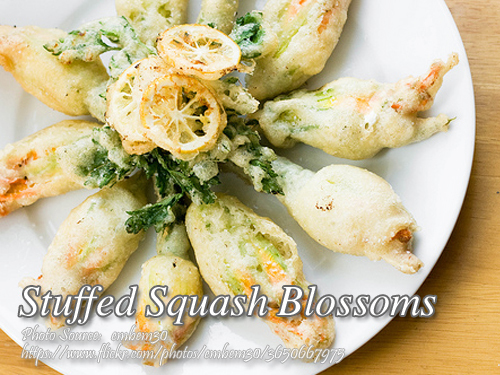 A simple and healthy vegetable dish made from banana heart or banana blossoms. 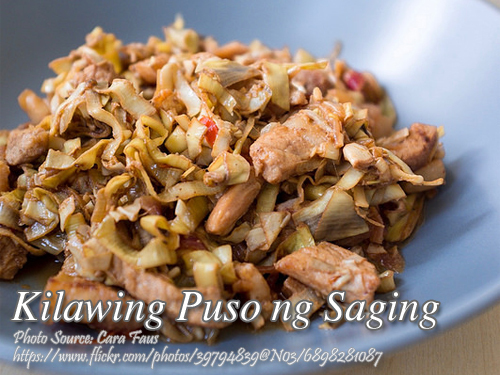 The dish is called kilawing puso ng saging which is supposed to be a ceviche since the word kilawin is marinated in vinegar or lime juice. But this on this dish, the banana blossoms are cooked until tender and mixed with fried tokwa, lime, garlic, onion, salt and pepper. Actually pork is usually used instead of fried tokwa. 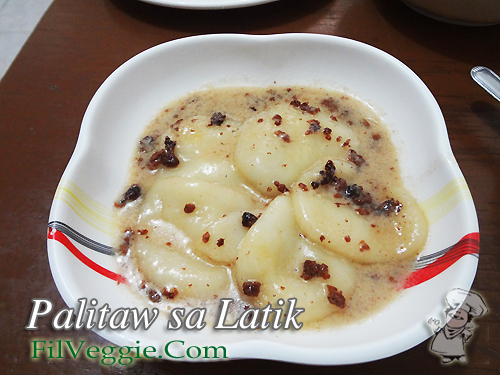 This recipe is only for vegetarian or those who want to eat a vegetarian version of kilawing puso ng saging. Remove tough covering of the blossom, slice thin crosswise. Squeeze it with salt and then rinse. Set aside. Mix tokwa, sliced onion and kalamansi juice. Saute garlic and add the tokwa mixture. Add water, salt and pepper and continue cooking. Then add the blossom. Cook, stir and turn over constantly till tender. Serve hot. Yield: 8 to 10 servings.